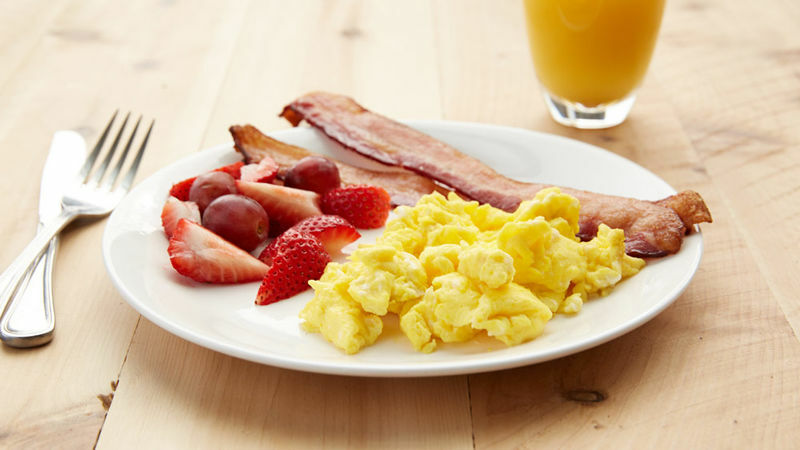 In medium bowl, combine eggs, milk and salt. Beat slightly with fork or wire whisk until well blended. 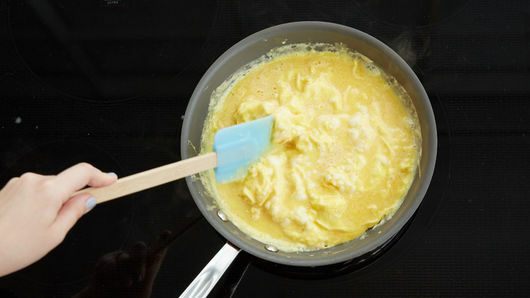 Melt margarine in medium skillet over medium heat; tilt pan to coat. 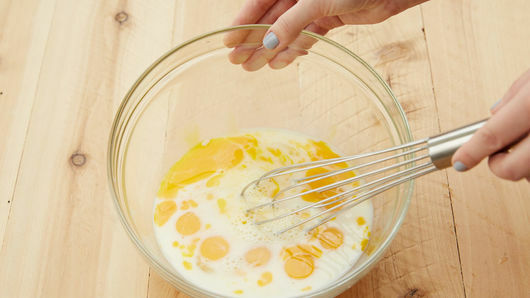 Add egg mixture. Reduce heat to low. Cook until firm but still moist, stirring frequently.